Open homepage i.e. https://www.ivacy.com and click on “Downloads”. Scroll down and click on “Get Ivacy on Mac”. Now drag “Ivacy” file to “Applications” folder. Run “Ivacy” in “Applications” folder. In Ivacy Dashboard, select “PPTP” in “Protocol” drop down, your desired country in “Country” drop down, and “username” and “password” (the email address and the password are the same that you chose at the time of order placement) and click “connect” to enjoy Privacy with Ivacy. 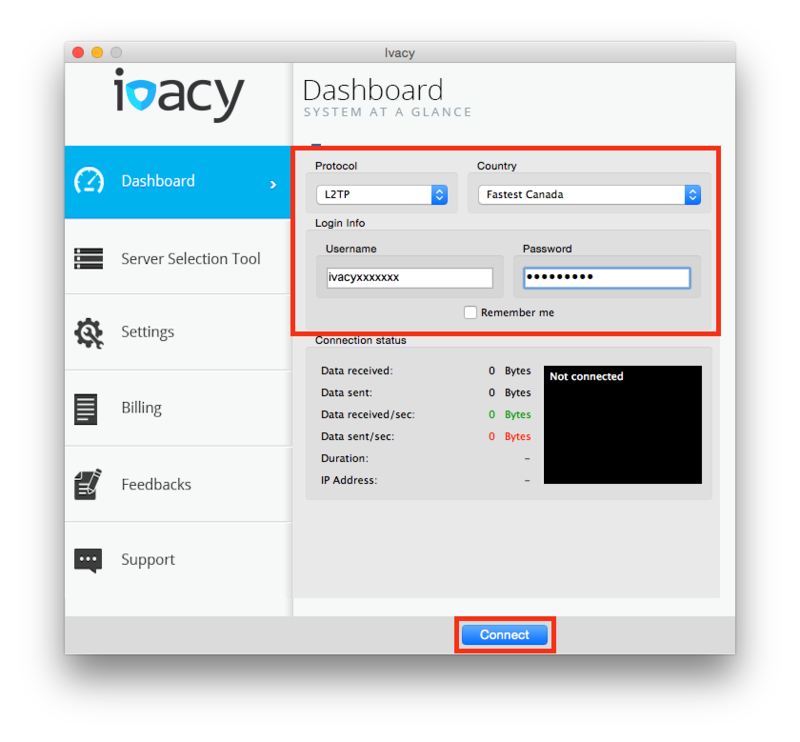 In Ivacy Dashboard, select “L2TP” in “Protocol” drop down, your desired country in “Country” drop down, and “username” and “password” (the email address and the password are the same that you chose at the time of order placement) and click “connect” to enjoy Privacy with Ivacy. That’s it! You have successfully configured Mac VPN. Enjoy complete privacy with Ivacy.